NOTE!!! 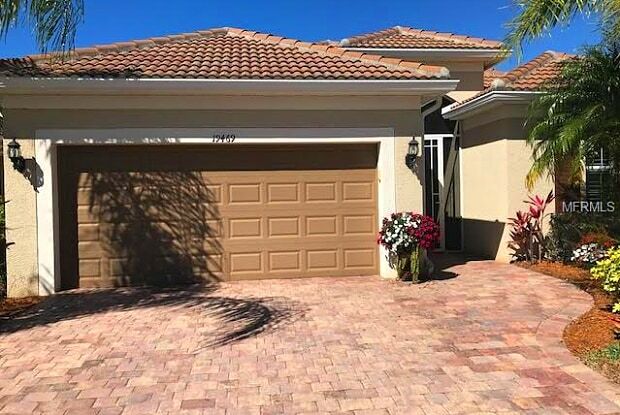 This rental is only for 5/1/19 to 10/31/19 and not available any other time of the year. This Maintenance Free 2Bed/2Bath plus Flex "Guest " room includes a Queen Murphy bed, Diagonal tiles throughout for easy maintenance. 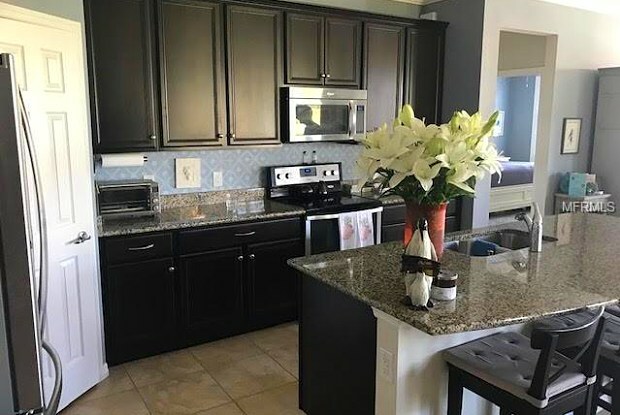 Kitchen features Ranged Hood vented outside, granite countertops with plenty of 42" wood cabinets, Stainless Steel appliances with island that seats 4 conformably. Master Bedroom looks out to a beautiful lanai and the master bathroom includes dual sinks and frameless shower door. Storm Smart motorized Hurricane screen. Year round or Seasonal, there is plenty of room for you and your guests to enjoy all the upgrades this home has to offer. Islandwalk is a Highly sought out gated community with two community centers for the endless activities, "Live Entertainment year round " and a "new" third amenity center coming soon. State of the art fitness center w/ classes, pickleball, tennis, resort-style pool & lap pool. Coming Soon The New "Cool Today" Stadium (Atlanta Braves) & opening Fall 2019 the Town Center anchored by a Publix grocery store, all will be walking, biking, & golf cart accessible. Minutes from Islandwalk are parks, dog park, golfing and beaches to enjoy your easy Florida Lifestyle! Have a question for 19469 RIZZUTO STREET?